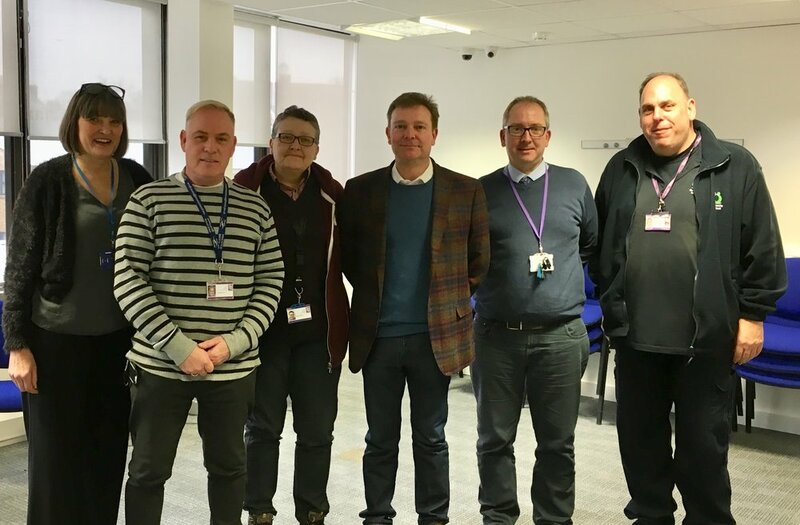 Craig Mackinlay MP has accepted an invitation from the Probation Service to visit the Kent Surrey & Sussex Community Rehabilitation Company (KSSCRC) local office in Queen Street, Ramsgate, to see the work they do with people subject to Court Orders and those released from prison. During the course of his visit last Friday, Craig was introduced to the drug rehabilitation and alcohol treatment requirements placed on offenders, and the types of unpaid work (known a Community Payback) the offenders carry out. The South Thanet MP also met with staff from the Resettlement and Rehabilitation teams, as well as volunteer mentors. “I was greatly impressed by the range of rehabilitation services the staff at Ramsgate Probation Service provide to low-to-medium risk offender who have been sentenced by a court to either custody or community supervision. “They do fantastic work and are a credit to our community.